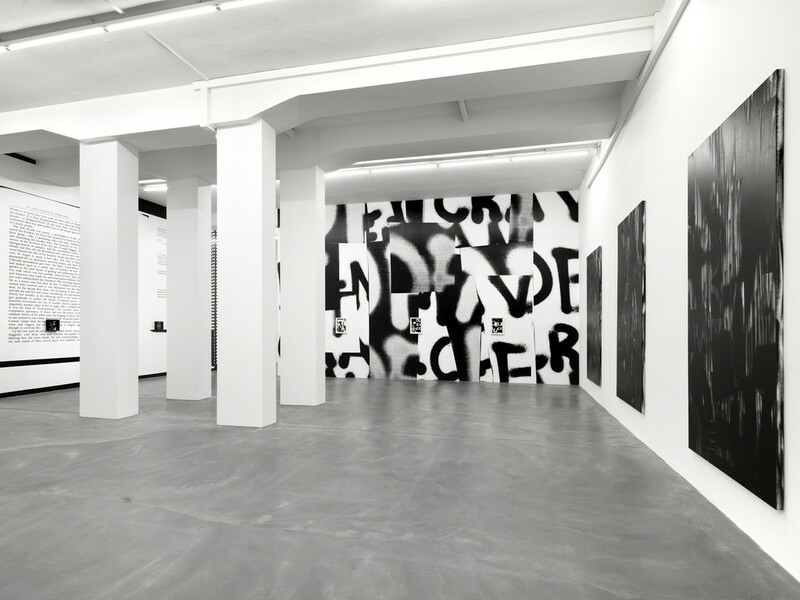 Galerie Eva Presenhuber is delighted to present “Midnight in America”, the gallery’s first solo exhibition of the American artist Adam Pendleton. Pendleton will present six new paintings, two Wall Works, and a group of smaller works including new collages. 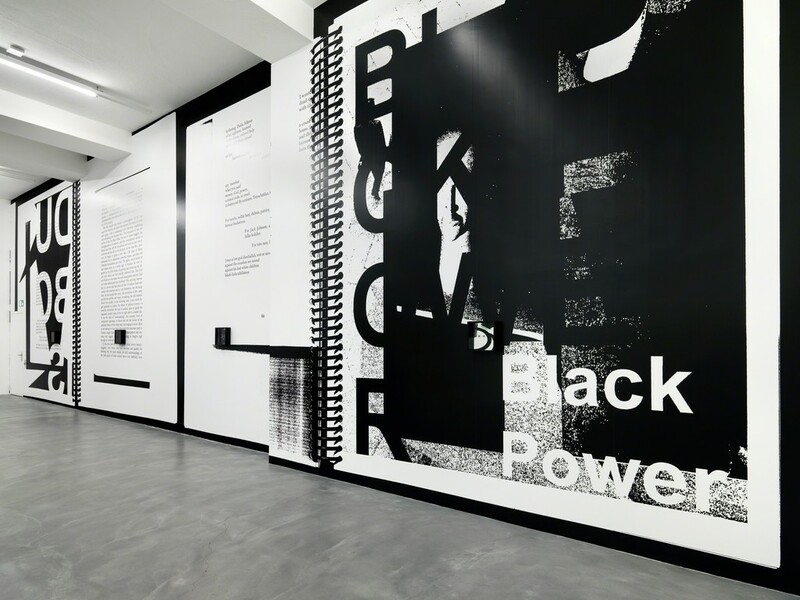 The title of the exhibition is a nod to American political history. The spirit of Ronald Reagan’s “Morning in America” campaign helped him win re-election in 1984. In this most recent presidential election, the Democratic nominee referred to her opponent’s vision of the country as “Midnight in America”. The new paintings, all titled Untitled (A Victim of American Democracy), are based on collages that abstract the titular phrase, which was pulled from Malcolm X’s 1964 speech “The Ballot or the Bullet”. 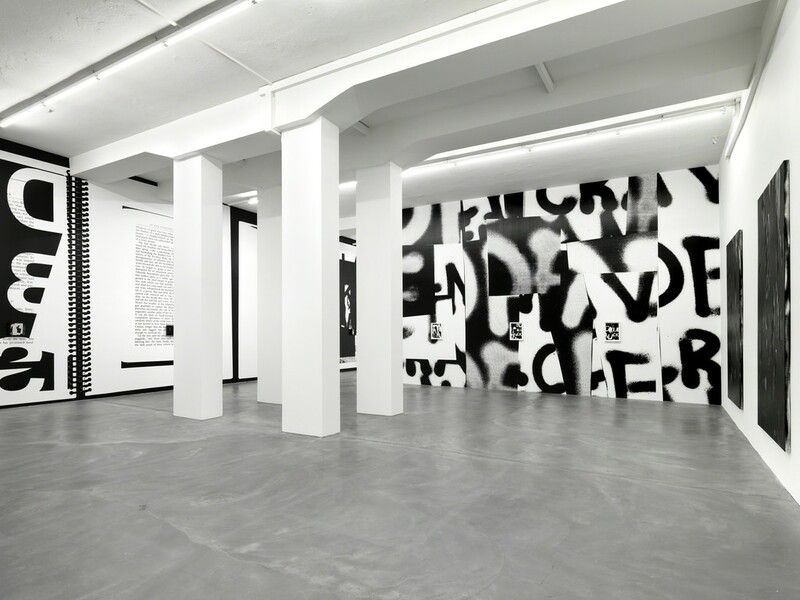 Hovering between abstraction and representation, the paintings feature expressive linear strokes that have been spray-painted onto the canvas. Floor-to-ceiling, immersive Wall Works line two walls of the gallery. 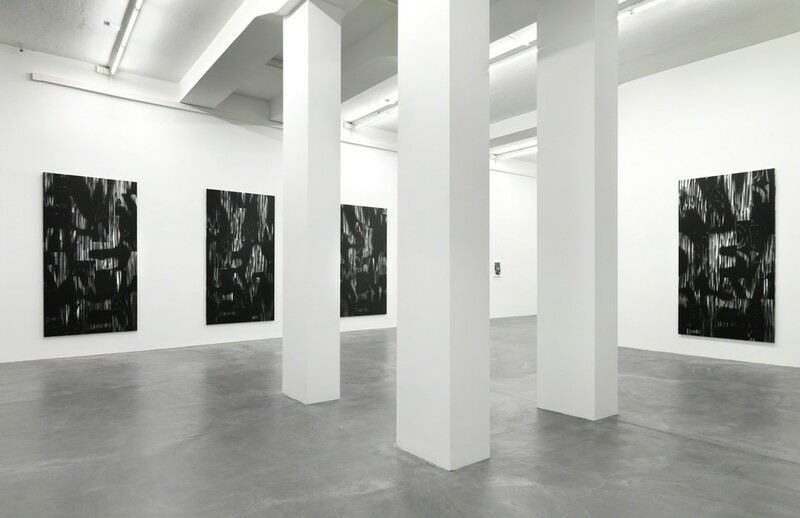 Pendleton’s Wall Works enlarge the collages and images that are central to his body of work. 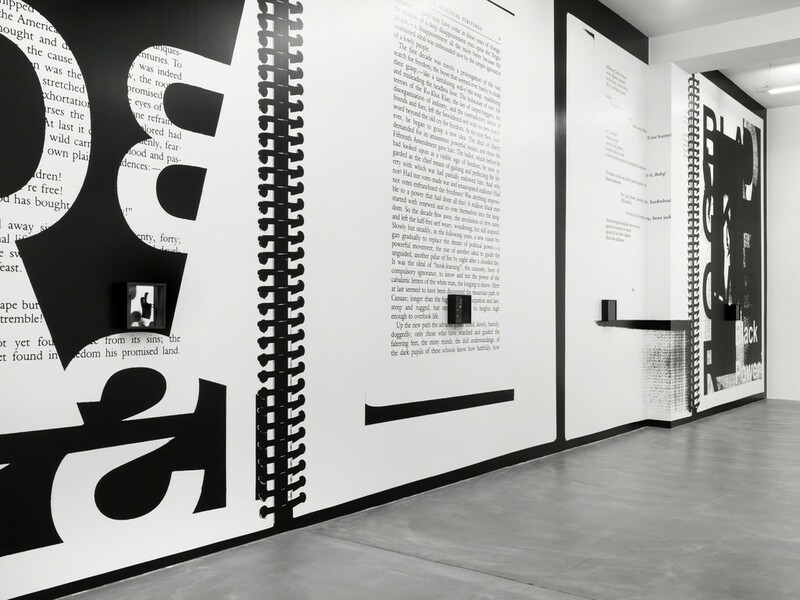 The first Wall Work visitors encounter depicts spreads from the artist’s Black Dada Reader, a collection of texts and documents elucidating the term Black Dada, which the artist uses to define his multi-disciplinary output. 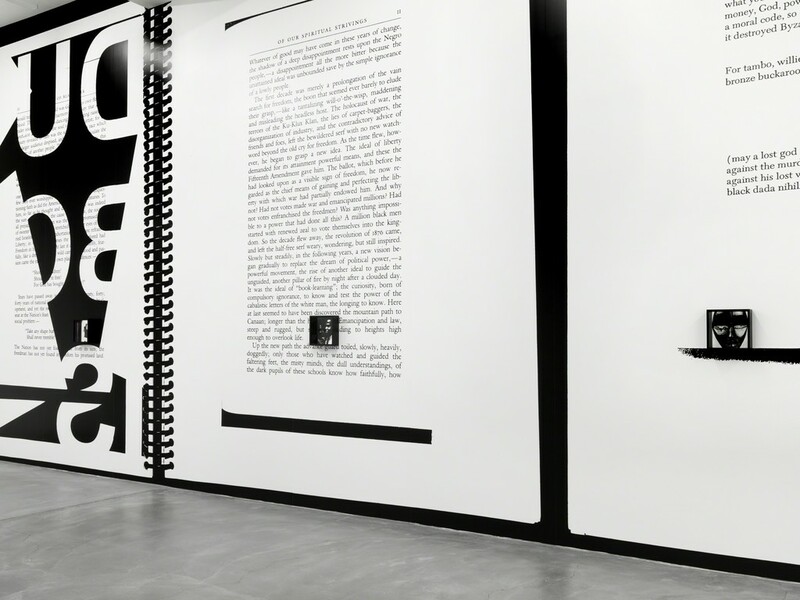 In the main space, a different collage-based Wall Work is hung with related works on paper, revealing how Pendleton perpetually revisits self-generated source material to “make something new”. Contrasting with the two expansive Wall Works, the largest wall in the gallery will be sparsely hung with intimate examples from the artist’s System of Display series. 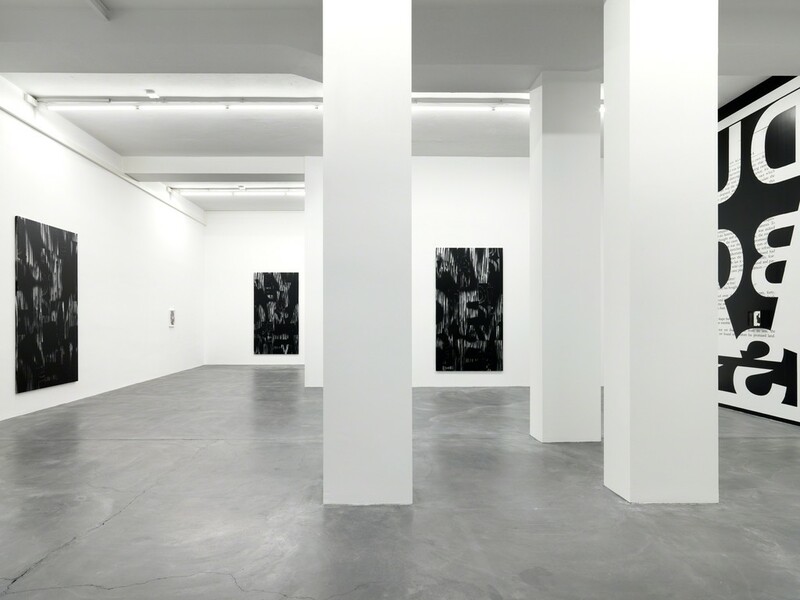 These wall-mounted objects consist of a mirrored surface printed with a found image. Typically, a single letter pulled from a word in the piece’s title is printed on a glass plane floating in front of the underlying image. Like the letters reflected by the mirror, the viewer and image, subject and object, past and present, collapse. 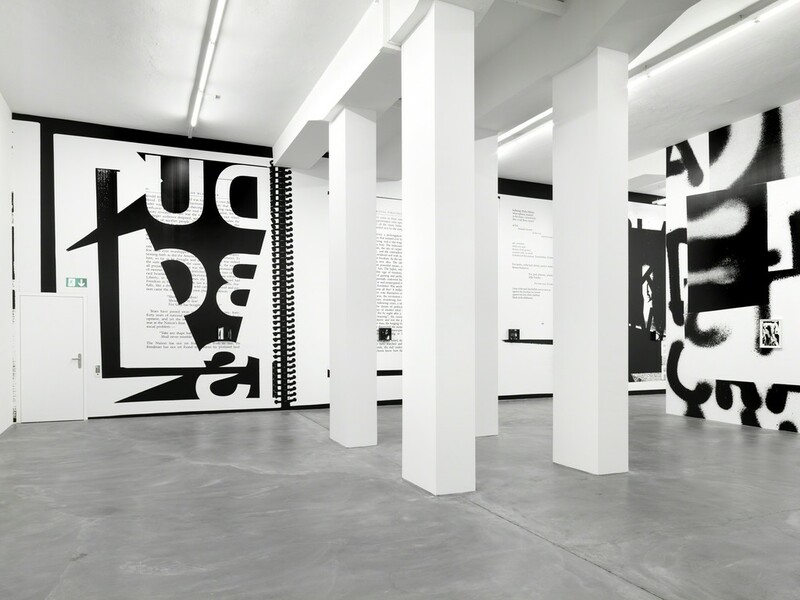 Adam Pendleton was born in 1984 in Richmond, Virginia, USA and lives and works in New York. 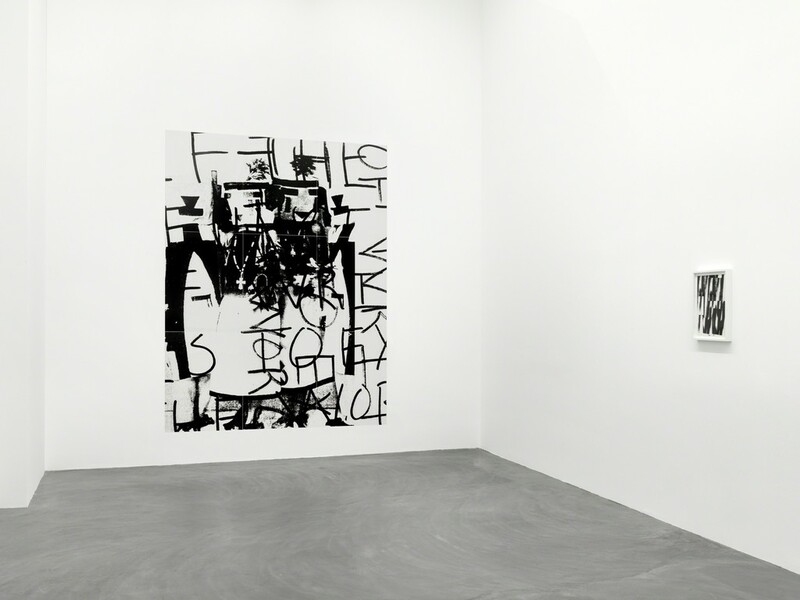 He is known for his body of work that stands both with and against historical conceptualism and abstraction. 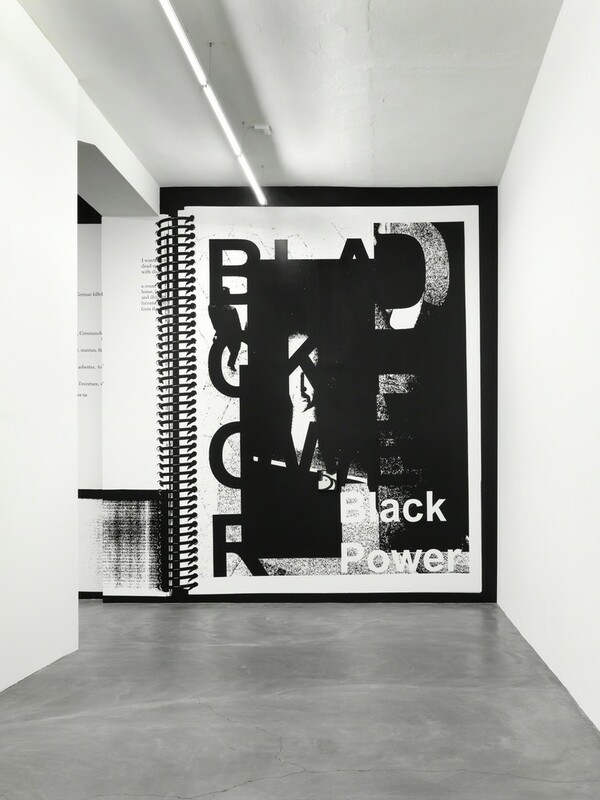 He embeds ideas from political and social movements –including the Civil Rights Movement of the 1960s and the contemporary Black Lives Matter movement – into new contexts. Pendleton is currently the subject of the traveling museum exhibition Becoming Imperceptible, which originated at the Contemporary Arts Center New Orleans and was recently on view at the Museum of Contemporary Art Denver. In January 2017 Becoming Imperceptible will travel to the Museum of Contemporary Art Cleveland. His work is represented in numerous museum and private collections worldwide, including the Solomon R. Guggenheim Museum, New York, USA; the Museum of Modern Art, New York, USA; the Museum of Contemporary Art, Chicago, USA; the Museum of Contemporary Art, San Diego, USA; the Carnegie Museum of Art, Pittsburgh, USA; as well as Tate Modern, London, UK. For “Midnight in America”, a second printing of the artist's seminal 2010 book grey-blue grain will be released. grey-blue grain was the first in a series of books that collect images and texts central to the artist's body of work.